soon I am going to play three concerts with ALYZEE. Come to our show! soon I will be on tour with the upcoming artist ALYZEE! Check out the dates and if we are near your place come to the show! I am happy to announce that my interview will be published next week in the new BassQuarterly issue May/June 2017! 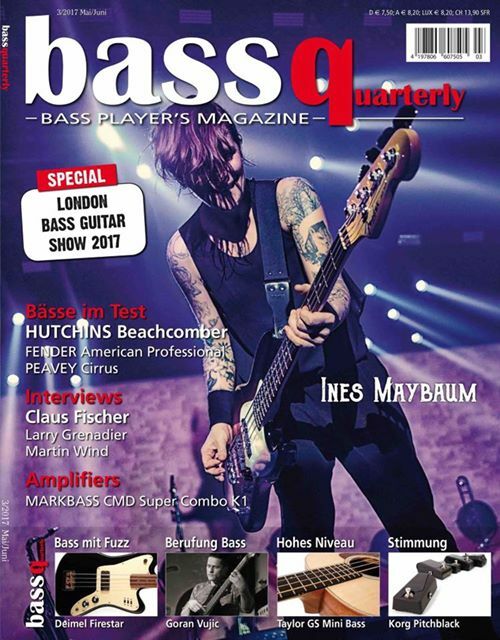 It's a great and very informative magazine for bass players in German speaking countries! Check it out! BIG THANKS to Kerstin Baramsky and BassQuarterly!!! By the way, check out the new Terra Nova Amps! SHINE YOUR LIGHT is out now! I am happy to announce that I recorded the tune PUBERTAT for this great jazz/rock/fusion album for Igor Lazarev a great guitarst and colleague. the brand new ELISABETH LOHNINGER album called ELEVEN PROMISES is out now. I am happy to announce that I recorded the bass for this wonderful record with this great musicians. I have the privilige working again with my friend, amazing guitarist, composer and music producer Ricky Garcia together with the grand master pianist and keyboarder Walter Fischbacher (Phishbacher Trio) on the brand new Steinberg Groove Agent 4 Expansion Pack called Fusion Essentials. 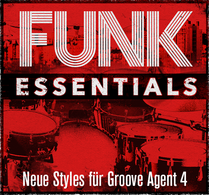 I am happy to announce that I have the privilege again working together with my dear friend RICKY GARCIA and recording the bass for BLUES ESSENTIALS a brand new expansion pack for STEINBERG`s software Groove Agent 4. 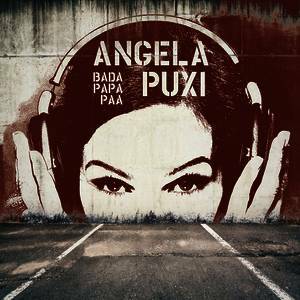 I have recorded the bass for Angela Puxi's brand new album which will be released in March 27th, 2015! Check out the short teaser on YouTube! ,,Bei allen Tracks dabei ist der deutsche Bassist Goran Vujic, der hier ebenfalls einen klasse Job macht - sein fundamentales Spielt gibt der Musik Halt''. I had recorded the bass for the great guitar player HANS VAN EVEN`S for his brand new album called ,, STARDUST REQUIEM ,, feat. two amazing guitar players TONY MACALPINE and BRETT GARSED. 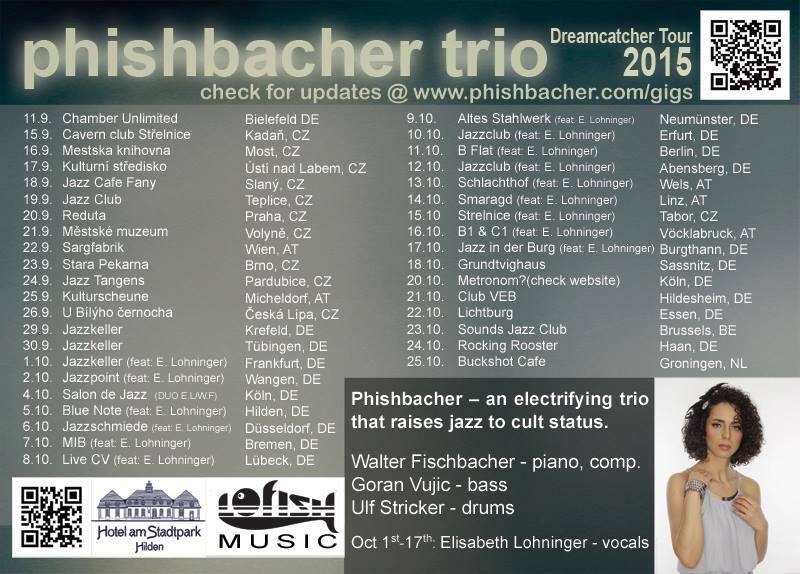 The PHISHBACHER TRIO is back again on tour in Germany, Austria, Czech Republic, Netherlands and Belgium. We are going to play a lot of concerts with the great jazz singer Elisabeth Lohninger www.lohninger.net and some concerts with the legendary guitarist Axel Fischbacher. 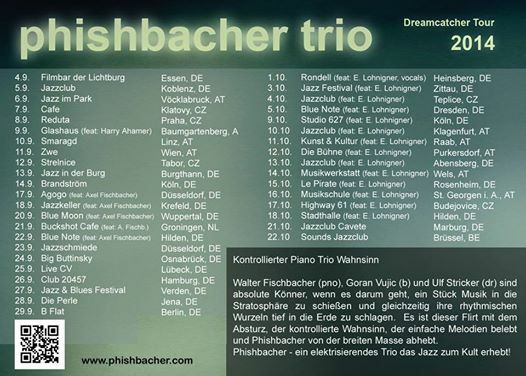 The brand NEW ALBUM of the PHISHBACHER TRIO will be officially realesed on 01.09.2014 at JAZZSICK RECORDS!!! Here is a nice CD REVIEW of the PHISHBACHER album ,, DREAMCATCHER´´. I have uploaded some new videos in the MEDIA/Videos section. ZED MITCHELL BAND ON EUROSPORT TV at 24th August 2013 !!! Ina Menzer farewell gala at WARSTEINER HockeyPark, Mönchengladbach (DE). is officially realeased on 17.05.13 and is available now !!! Check out the video section for some more videos from the fall tour 2012 with the PHISHBACHER NEW YORK ELECTRIC TRIO. In the date section you will find some new dates with ZED MITCHELL & BAND for 2012/13. I have uploaded some of my new dates for 2012. Check out the dates section.I will be on tour with the PHISHBACHER NEW YORK ELECTRIC TRIO from 30.10-10.11.12. My interview by Adrian Andrejek is published for TV Obzor-Glas Slavonije a dailey newspaper from Croatia published in the city Osjek. I am back from the PHISHBACHER NY ELECTRIC TRIO TOUR 2012.It was great.We had lot of fun and a wonderful tour.Now I will start recording bass for Hans Van Even. 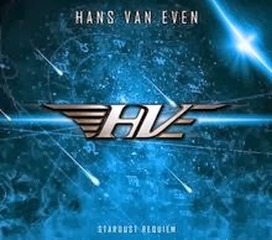 He is a great guitar player from Belgium. I have uploaded a new PHISHBACHER NEW YORK ELECTRIC TRIO video in the MEDIA-VIDEO section. by Brian Charette a great keyboard player from Laco Deczi´s Band called ,,Laco Deczi Celula New York,,. The tune we have played is ,,Single B,, and will be released soon at the new Album called ,,Journey to Turtleland,, (Jazzsick Records). Our tour starts 2012 in march until april! Check out the dates and don`t miss a concert! 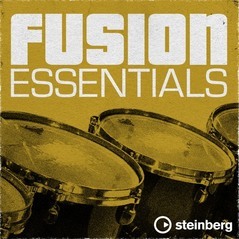 * Steinberg " NU METAL" Sound Loop Set has been released with me on BASS. It includes over 400 separate loops of each part and instrument organized in 11 Constructions Sets. * GUT is recording a new CD in january. * GUT-FUSION TOUR 2012 in Czech Republic and Slovakia is starting at 18.02.12-26.02.12. More details you will find at the section DATES. *few years ago I have recorded with my good friends and great musicians a nice CD called ,,Soul of Music,,. The CD was recorded for Kindernothilfe. If you purchase the CD ,,Soul Of Music,, you are helping children world wide. Kindernothilfe recieves the full amount of money you pay for the CD.